Online video guitar lessons teaching how to play a wide variety of rock and pop songs on acoustic or electric guitar. Songs by U2, Chili Peppers, Radiohead, The Killers, Green Day, The Darkness, Lenny Kravitz, Blink 182, ACDC, KT Tunstall, James Blunt and more. 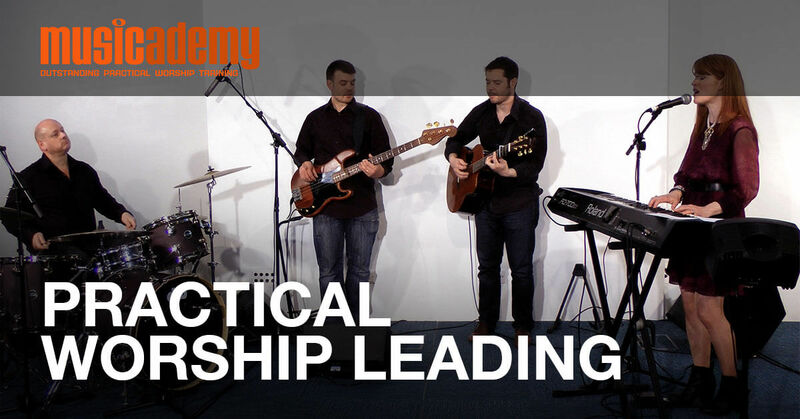 This online guitar instruction is a distillation of the live courses that Musicademy has taught to thousands of people. They are arranged in stages that will methodically develop your guitar skills in a step by step way. Each lesson should give you around 1 to 2 weeks learning if you are new to the techniques being shown. Each stage is designed to last a standard term or semester, so generally you should be able to master 3 stages per year if you practice a little every day. Each 15-30 minute lesson will teach you all the relevant guitar chords, licks, riffs and strumming patterns to enable you to master the song. Stage 1 are easy guitar lessons for complete beginners so if you have already been playing guitar regularly you should start at a later stage. Stage 1 is for absolute beginners who want to learn to play guitar. The video guitar lessons take you through all the basics, including a variety of standard open and power chords, strumming pattterns and some simple versions of a few classic songs. In this first lesson we go through the parts of the guitar, how to tune up and 3 chords – Em D and Am. 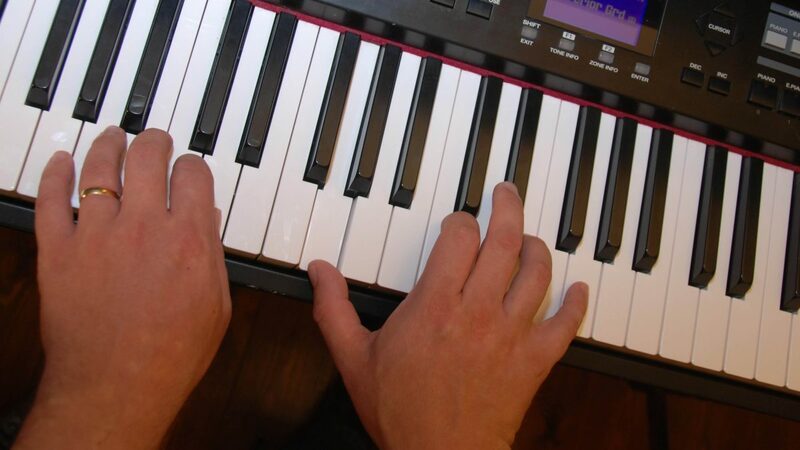 The best thing is there are lots of guided play alongs which really help you as a beginner get to grips with chord changes with the security of the teacher playing along side you. Next we take those 3 chords and add a strumming pattern to play this Coldplay classic on guitar. Again lots of guided play alongs. Along with another new strumming pattern for guitar, we add the Cadd9 chord which helps you move between C and G more easily. Go to Stage 4 to learn the proper intro. Now use these same chords to play this U2 classic whilst learning about syncopated strumming patterns and how to use a capo to change key. 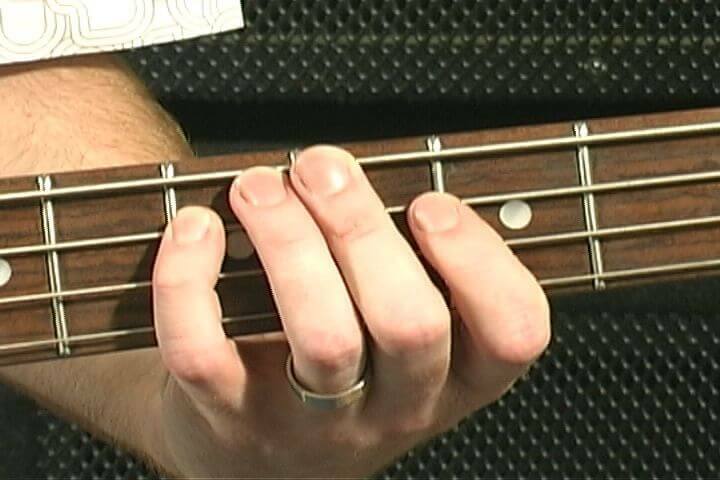 This is a wonderful introduction to one finger power chords plus learn your first guitar riff. 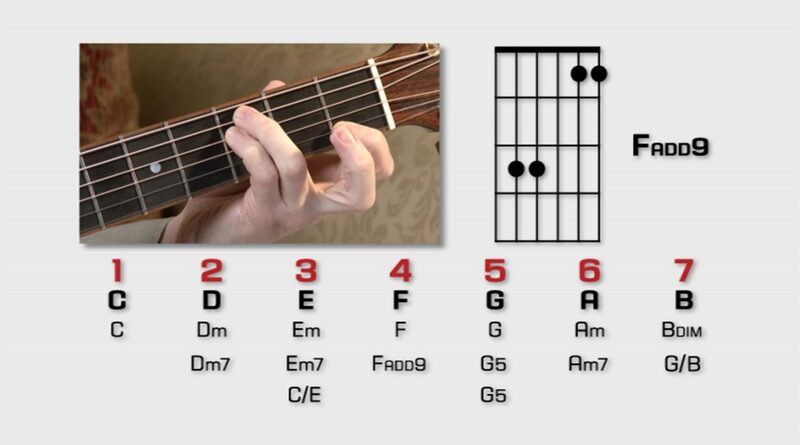 Again, lots of repeatitions to help your fingers find the new guitar chords. Now we move onto three finger power chords and once you have learnt these you will be able to play hundreds of rock songs uon guitar sing this one shape. In this lesson you will learn the actual rhythm part that was played on the record. Learn the solo in stage 3. Having mastered a number of basic guitar chords this lesson will help you put them together in another new song with yet another strumming pattern to add to your repertoire. Stage 2 builds on the basic techniques from stage one these lessons are ideal for someone who has been playing for a couple of months and wants to learn some more new chords and develop their skills with a great range of new songs and techniques. Speed up your guitar chord changes and learn about changing time signatures with this modern pop classic. Learn about suspended chords and different positions for guitar power chords. This lesson will really help speed up your power chord changes. Add E and A to the basic chords you already know and use them to strum along to this acoustic guitar classic. This brilliant riff uses guitar power chords throughout the whole song. We break down The Edge’s guitar part into sections making it simple for you to understand and play. Impress your friends with a great sounding 12 bar blues and rock and roll rhythm part that you will come back to time and time again. Use the same power chord chape further up the neck and develop your chord position knowledge with this modern rock classic. Combine open and power chords to play the ultimate party song on guitar. Even Shrek will be impressed! In Stage 3 we go beyond the basic chords ad begin to explore extended chords, chord shapes further up the neck some strumming patterns, string bending and even your first lead guitar solo. Improve your barre chord knowledge, find out how to play slash chords and combine melody lines with strumming patterns as you learn this ultimate feelgood party hit. This lesson iwill really help you speed up your guitar chord changes when moving to the tricky F chord. You will also learn some nice Dm and G7 chord changes too. Learn all the right chords on the guitar, arpeggio picking parts and even the solo so you can play along with the original track, note for note. Alternative tunings! We show you how to play all the parts to this brilliant Led Zeppelin song using the correct DADGAD tuning. The step by step way we break each section down makes it easy! Learn all the parts fo, Boulevard of Broken Dreams including the guitar solo which will teach you about using octaves for lead guitar. By learning this track you will also understand how to play any song on guitar in any major key using a capo and 1 finger chord changes based around the key of G.
Learn the intro, verse, chorus parts and riffs note for note on guitar. An essential track for all rock players! A great lesson for learning funk and disco guitar parts, developing right hand playing technique and your knowledge of extended chords. Increase the speed and accuracy of your right hand finger picking technique with this song. Combine lead and rhythm guitar as we show you how to play the Intro and rhythm parts note for note.